Ruffians FC Fixture Night (Fifa 16) - 6th January 2016 - 9pm Onwards! Ruff Gaming » Ruffians FC » Ruffians FC - The Fixture List » Ruffians FC Fixture Night (Fifa 16) - 6th January 2016 - 9pm Onwards! Happy New Year!! Ruffians FC is back after the Winter break with their first official Fixture night for 2016. As we roll into the new year, our first kit is going to be chosen by Darkestfrost who successfully worked out that the theme for the last fixture night of 2015 was Star Wars! His choice will be announced on Twitter before we kick off! Darkestfrost has chosen his kit!!! It is the Boavista Away kit! 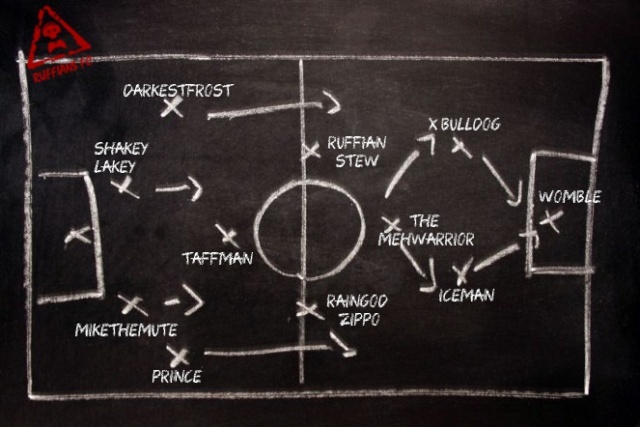 As the January Transfer Window is open, the rumour mill is working overtime for Ruffians FC. The latest rumour is that we might have one of our regulars returning to the ranks! The Mehwarrior2 wrote: Aye go on then. 8 Re: Ruffians FC Fixture Night (Fifa 16) - 6th January 2016 - 9pm Onwards!